Illustrated by Sydney-based artist, Sha'an d'Anthes, the CuddleCo Mountain Mat features a reversible design that brings Australia's iconic native flora and fauna to life. Independently tested and passed by an Australian laboratory to AU and NZ toy standards, AS/NZS 8124. Independently tested and passed by an International laboratory to EU and US toy standards, EN71 and CPSIA. Made from fully-recyclable PVC, and completely free of all harmful elements such as phthalates, BPA, and formamide. Illustrator. Children's Author. Watercolour Extraordinaire. Sha’an, also known by her pseudonym Furry Little Peach, has garnered hundreds of thousands of fans worldwide with her gorgeous watercolours and illustrations. Say ‘so long’ to slippage with our technology. Our play mats utilise a special diamond grip system which has been tested on a variety of surfaces, including tile, floorboards, and polished concrete. Play time can be a slippery business - make sure your child has the support they need. 42% more cushioning and support than other play mats. With 42% more padding than other play mats, all our play mats come standard with a soft 15mm of plush cushioning that provides the highest level of protection that your child needs during their development. When it comes to your child's safety, we do not cut corners. Life’s messy, our play mats aren’t. Our play mats feature a durable, hypoallergenic surface that makes cleaning a breeze. They are built to withstand the mess of everyday life for years to come. Hand-illustrations you and bub will goo and ga over. From simple concepts to vibrant full-colour reality, we work with Australia's most exciting artists to create beautiful illustrations that stimulate growing minds and complement your family home. Tummy time. Sitting. Crawling. Walking. We’re with you, every step of the way. Free of all the nasty chemicals that could harm your bub, our play mats have been tested and certified safe by an accredited Australian laboratory to official AU/NZ toy safety standards. From crawl, to walk, to run, your growing child needs the right support. With an ultra-soft 15mm of cushioning, our play mats provide a soft landing for all the bumps and tumbles. Hypoallergenic, and simple and easy to clean with a quick wipe down. Our play mats are built to withstand any mess your little one can throw at it while looking good as new for years to come. Engineered and built using safe, high-quality materials. 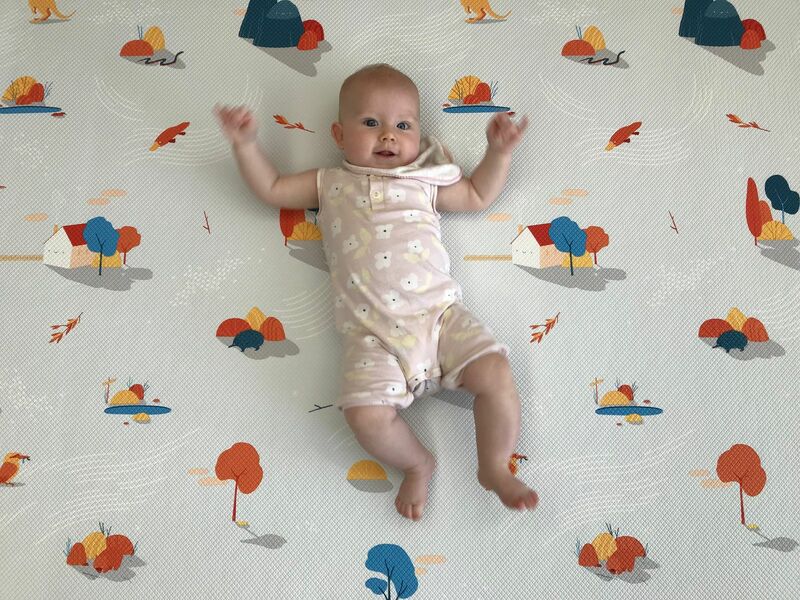 Our play mats have been designed to provide the backdrop for your child’s entire growth and development. Elisha L. Reviewed by Elisha L.
The design is just gorgeous and the quality is amazing. So pleased with our purchase and know it will last years to come! Akshata S. Reviewed by Akshata S.
I was looking at buying the mat on 10th but somehow managed to complete the transaction on 11th. Between this time CuddleCo sent me a 10% off discount code which I missed when placing the order. I called them & they instantly refunded the 10% amount. It was that easy! The package arrived within 2 days of my purchase. I’m very happy with it & it seems my darling daughter loves it too as she keeps sliding down from her gym onto the mat! Gemma H. Reviewed by Gemma H.
Thanks Gemma! 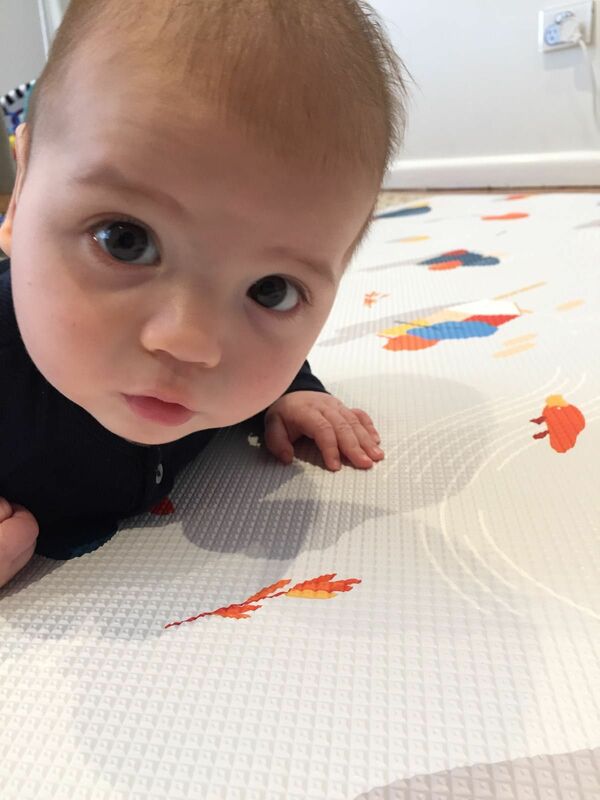 We're glad you and your bub are enjoying the mat. Forget about long, complicated application forms. Afterpay makes it quick and easy to get approved instantly and keep shopping. What is the play mat made of and is it non-toxic? Absolutely. The safety of your child is our primary concern, which is why CuddleCo play mats have been independently tested and certified safe by an accredited Australian laboratory to comply with Australian and New Zealand toy standards. Our play mats are completely free of nasty things such as BPA, phthalates, formamide and heavy metals. Our play mats are made from fully-recyclable PVC, a material which has been trusted by the medical industry for decades in the form of IV fluid bags and tubing, and the piping used daily to deliver fresh tap water. During our research and development, we evaluated several materials ranging from PU, XPE, and EVA. After extensive testing we found that these materials were easily damaged, and offered substandard protection and padding in comparison. PVC was the clear choice and exceeded our strict requirements for safety, cushioning, anti-slip grip, and durability. Our play mats have successfully completed stringent tests, and are fully compliant with AS/NZS ISO 8124.1 (Physical and Mechanical Properties) and AS/NZS ISO 8124.3 (Chemical Properties). Our play mats are also internationally compliant with the European Union EN71 and United States CPSIA standards. Needless to say, we passed with flying colours! Is the play mat suitable for pets? In most cases it’s totally fine, however if your pet has a habit of chewing or clawing furniture, there is a risk that they may also damage your play mat. We love our fur babies as much as you do, however we can’t fully recommend the play mat for use with your furry family members. Ultimately it will be up to your discretion as you know your pet best. What ages is the play mat suitable for? 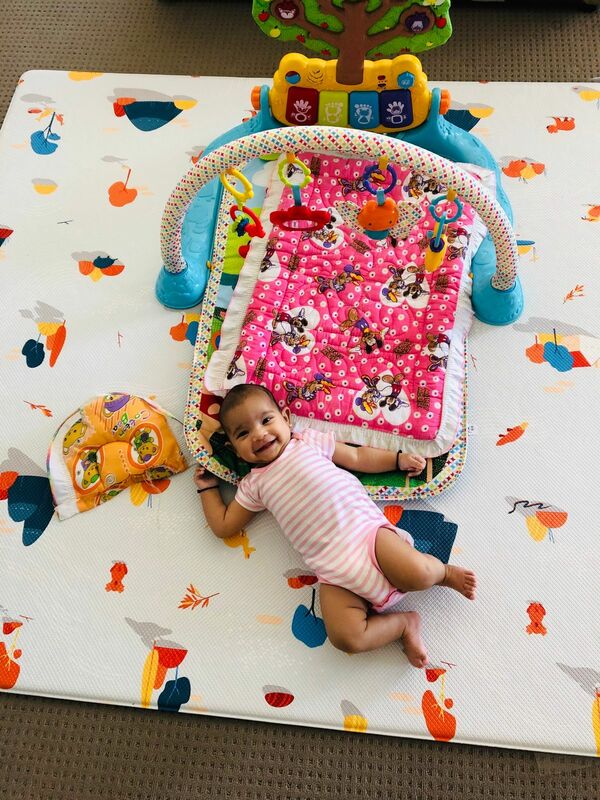 CuddleCo play mats are suitable for all ages, and are frequently used by parents for a quick workout or yoga session. Who said only the kids get to have all the fun? Do you offer a warranty? What does it cover? Absolutely. We offer a 24-month limited warranty against manufacturing faults or defects. If you believe you have received a damaged or defective product, please contact us by calling us on 1300 659 818 or emailing us at info@cuddleco.com.au, and we will arrange a refund or replacement if the issue is covered under warranty. Our warranty does not cover wear and tear caused by use, accidental damage, or failure to follow care instructions. Damage to the packaging only due to shipping is also not covered. Click the icon on the bottom right of the page to start a live chat from 9am - 6pm, Mon - Fri. Call us on 1300 659 818. Prefer to speak to a team member over the phone? Give us a buzz from 9am - 6pm, Mon - Fri.
Reach us at info@cuddleco.com.au, or drop us a message on our contact page.